Offers traditional prescriptions along with customized compounded medications and specialty pharmacy services. It has served over 45,000 patients, including those with complex medical conditions such as HIV/AIDS, hepatitis C, multiple sclerosis and infertility. 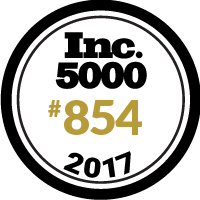 ABD is thrilled to make the Inc. 5000 for the fourth time! Thank you and congrats to all our employees for making this success possible.